Discount Dumpster knows that handling built up debris can be handled with one phone call to our customer service team. Once you call you can have any questions regarding a dumpster rental answered in less than five minutes. The team can assist in setting you up with the right roll off for your cleanup load. 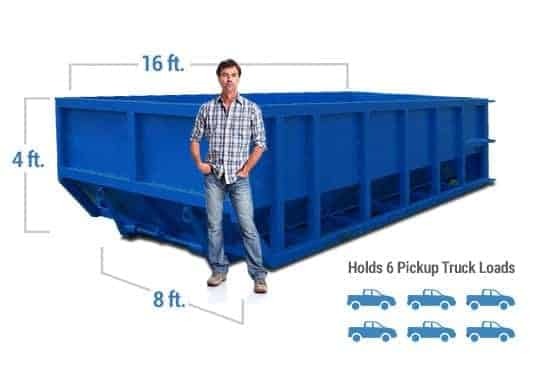 Using the correct dumpster size will maximize the efficiency of your waste removal project. Whether you need a small container or a large receptacle, our company is here to take the waste out of Antioch. Don’t let that trash keep piling up. Call us today to see what options we have available for you. Proper waste management is essential for any thriving community and Discount Dumpster has positioned itself in the area as a source to take the garbage out of the community. Our company can handle any waste amount. We are confident we have the perfect waste management option for your cleanup project. With our company you can save up to $100 on your next dumpster rental. 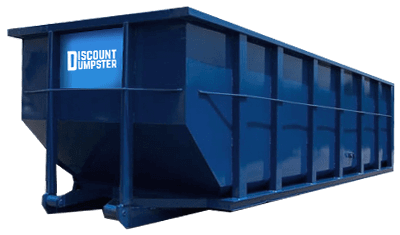 Our dumpster rentals are available in a variety of sizes, from small containers to our 40 cubic yard construction receptacles. Call us today to see which options are a perfect fit for you! The 12-yard container is ideal for small remodels. Its compact size allows for the waste bin to fit virtually anywhere. The 12-yard allows you to discard of light renovation clutter such as tile and wallpaper. Slightly larger than the 12 yard canister, the 15 yard is ideal for small-scale floor removal. The 15 yard’s size allows it to hold light construction clutter such as wood trimmings. Its low height allows for the easy discarding of material. The 20 yard roll off is a typical option for full room remodels. You can easily discard of household and construction debris such as plastic and metal pipes. The 20 yard is can also be used for small-scale refurbishing. Smaller than the 40 yard, the 30 yard roll off is often used for multiple room demolitions. Its relatively large size allows the roll off to hold construction litter with ease. With 30 cubic yards of space, it is a standard choice for large-scale building retrofits. 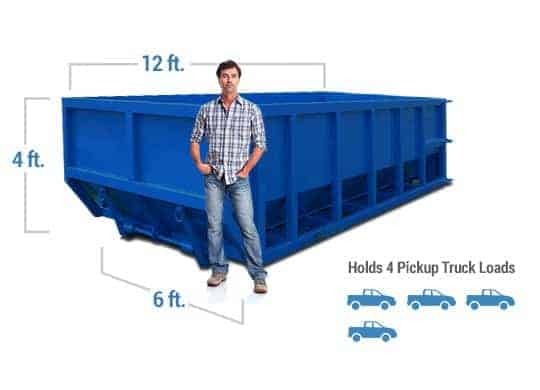 Our 40 yard waste receptacle is common for contractors working on large building blueprints. You can discard several tons of trash with the 40 yard. It is often ordered by contractors performing large-scale building leveling. Our company has maintained a dumpster rental process that is based around meeting the specific needs of our customers. We know that every customer need and waste amount is individual, so each deserves differential treatment. We can provide small containers for those simple DIY remodels, or we can rent you a large 40 yard for that home leveling project at hand. Whatever the task at hand, call our experienced customer service team today. We have extensive knowledge of the industry and would love to share our knowledge. So don’t delay. Call Discount Dumpster today! Clean Disposal Methods for Your Clutter! Discount Dumpster has been in the waste disposal business for over a decade. Our goal is to provide our customers with the best possible service all around. This includes keeping our disposal methods environmentally friendly. We make sure we adhere to all municipal codes regarding disposal and dumpster weight limits. We also make sure to give you several options on small containers as well as our larger waste receptacles. Our green approach to business continues throughout the entire rental process. When you call our customer service team the first thing you will notice is we conduct our business in paperless form. We are a company that strives to keep the environment clutter free. Our final green effort in preserving the environment is by responsibly discarding your unwanted household and commercial rubble. If you would like to participate in improving the world around you, give us a call today. We will work together to ensure our area is clutter free and environmentally acceptable.